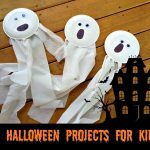 What to do with all your Halloween candy? 1. 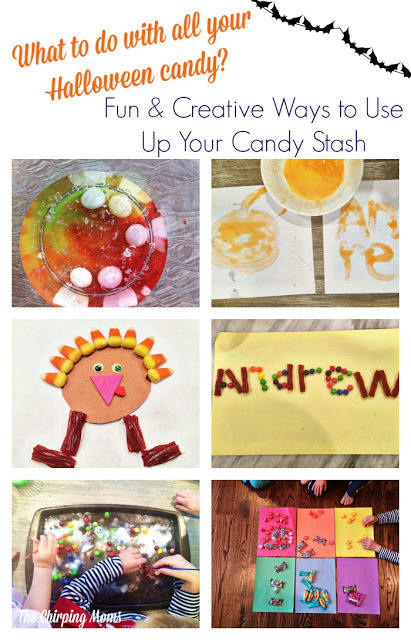 Try some fun preschool activities, just get creative & ideas will start coming to you! 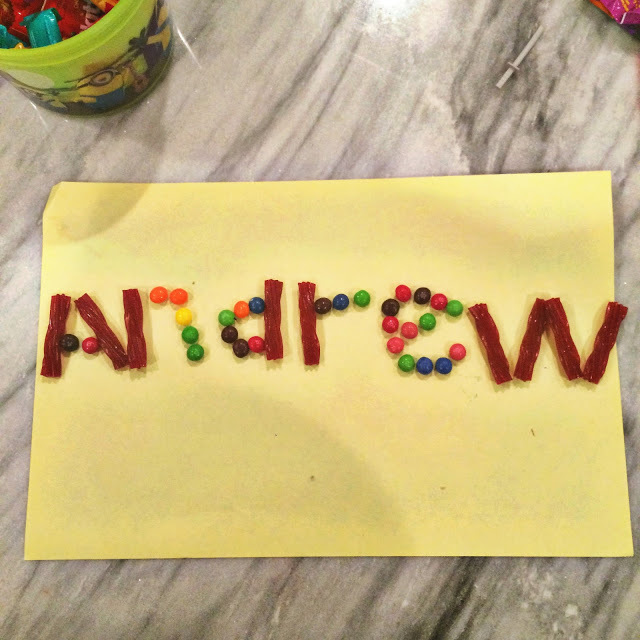 Below, we had fun creating their names using candies from their buckets. 2. 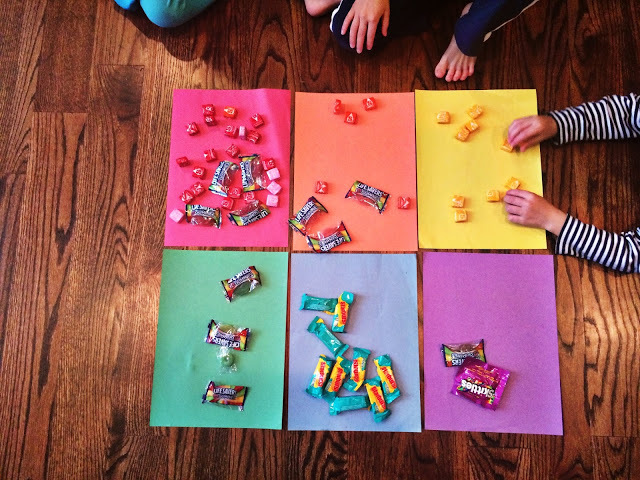 For older kids, you could challenge them to graph out the different types of candies. 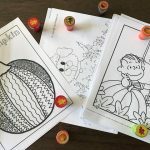 For younger kids, an easy idea is to do a color sort! 3. 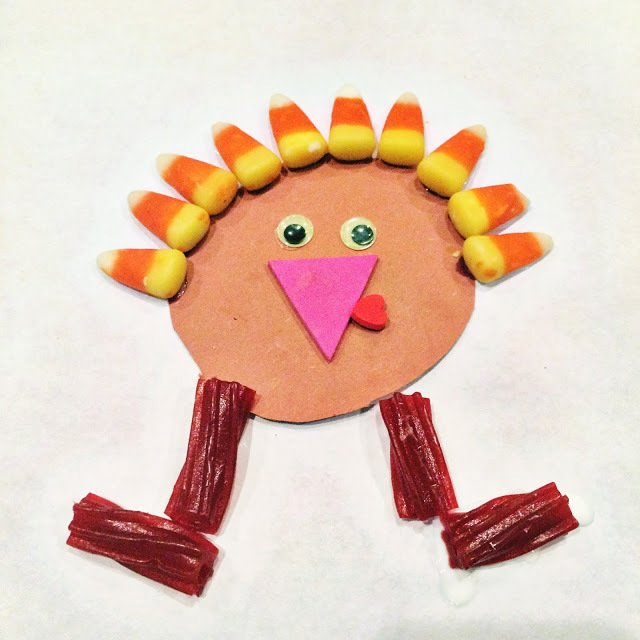 Get ready for the next holiday & make a fun candy craft such as this Candy Corn Turkey! 4. Try some science experiments. 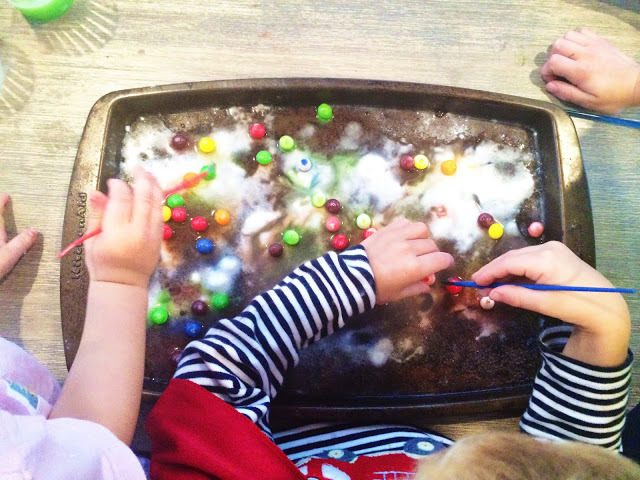 One of my kids’ favorite things to do is put baking soda on a cookie sheet and add vinegar. This time, they threw in a few Skittles to see what would happen! 5. 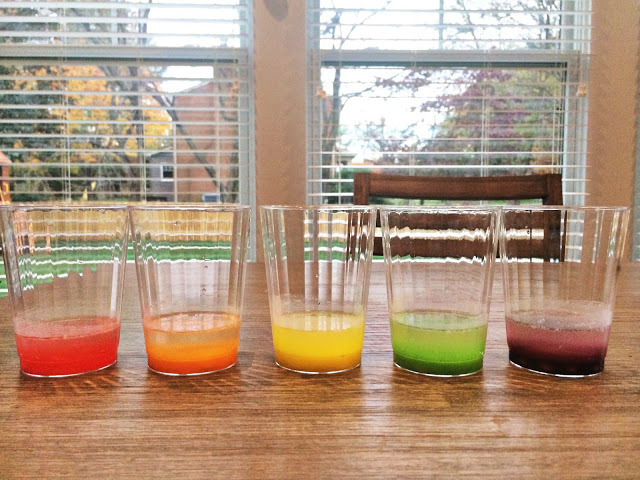 Another fun science experiment is to simply throw Skittles into a cup of water. As they dissolve, the S will come off & float to the top! 6. Get creative. 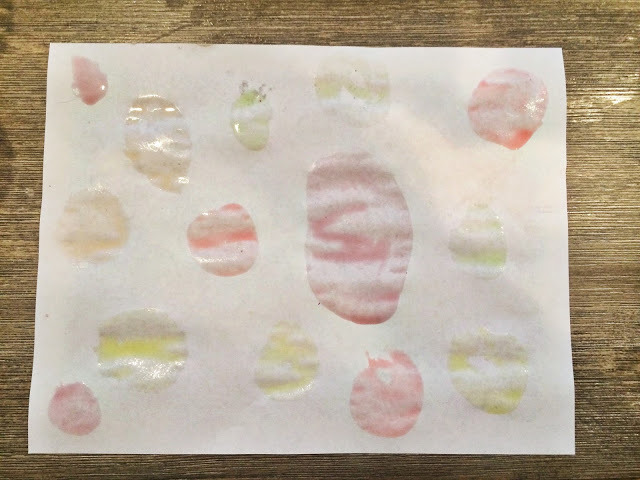 We created this fun Starburst finger paint by simply melting several pieces of Orange starbursts until soft (around 20-40 seconds). 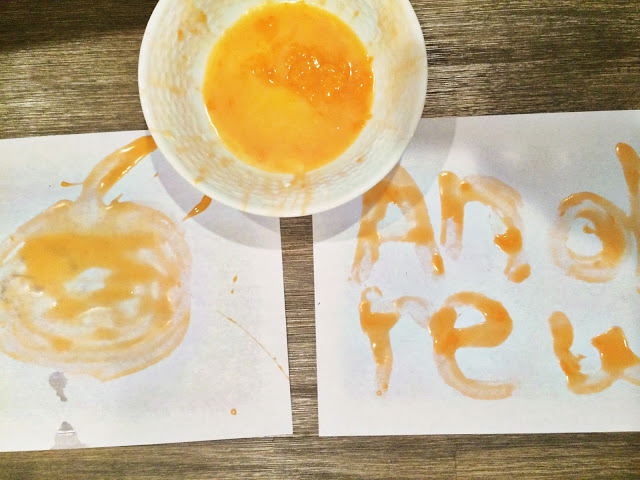 Then, I just added cornstarch and water to get a finger painting consistency. Messy but fun! 7. Make some Skittles paint. Simply place several Skittles in each cup (by color) & add just a little bit of water. 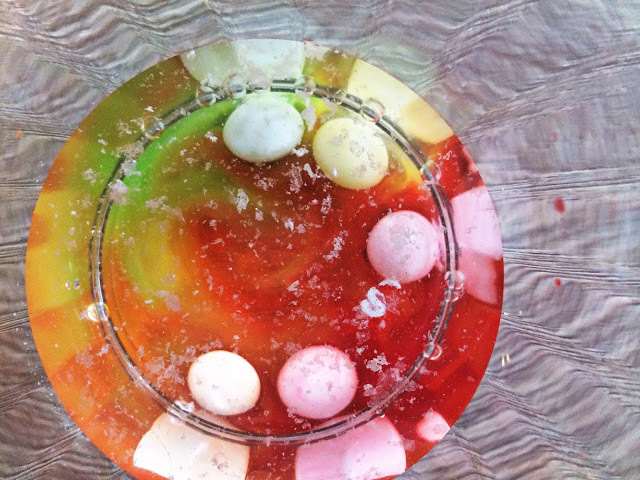 Let the Skittles dissolve and then you can paint with it. 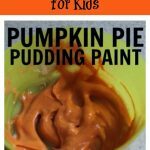 It makes a super light, glossy looking paint that the kids will think is fun because it comes from Skittles! 8. Donate or sell it. There are several dentists & organizations that will take Halloween candy! Click here for more information about the Halloween buyback programs around the country. 9. Switch Witch. I have never heard about this before until I ran into a neighbor the day after Halloween & she told me that the “Switch Witch” came to their house. Basically, a “good witch” comes to your house on Halloween night and takes the candy, in exchange for a toy. 10. Use it for upcoming birthday parties. Fill a piñata or goodie bags with all the leftover candy. 11. Also, you could save it for the holidays: filling advent calendars, decorating gingerbread houses, or any other fun ideas that you may have. 12. Bake with it. 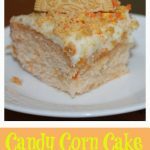 Make a fun dessert or special creative meal out of the candy. 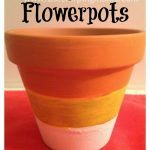 I would love to hear any other fun ideas that you may have, so please leave a comment below with other fun ideas!